Photo: Douglas Morrison, Los Angeles County Fire Department. 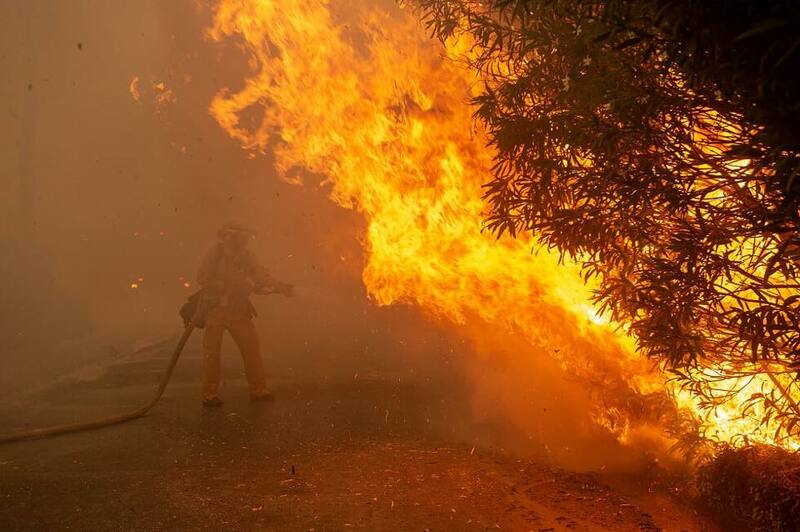 SACRAMENTO – Building on lessons learned from past catastrophic wildfires, Governor Gavin Newsom Friday proclaimed a state of emergency throughout California ahead of the coming fire season. Newsom is directing his administration to immediately expedite forest management projects that will protect 200 of California’s most wildfire-vulnerable communities. This action follows the release of a report earlier this month by the California Department of Forestry and Fire Protection, which identified 35 priority fuel-reduction projects that can be implemented immediately to help reduce the public safety risk for wildfire. Previously, Newsom issued an executive order on his first full day in office directing CAL FIRE, in consultation with other state agencies and departments, to recommend immediate, medium- and long-term actions to help prevent destructive wildfires. Newsom Friday also announced the next phase of an effort to modernize the way the state contracts for goods and technology systems, to prepare for and assist during disasters. Further, Newsom announced additional details on the $50 million California for All Emergency Preparedness Campaign. * $24.25 million in grants to community-based organizations across the state to prepare residents for natural disasters through education and resources designed to bolster resiliency. * $12.6 million to support community efforts to build resiliency and respond to disasters by dispatching expert disaster teams to key regions and expanding citizen emergency response teams (CERT). * $13.15 million to assist community groups in the development of a linguistically and culturally appropriate public awareness and outreach campaign, directed specifically at the most vulnerable California communities.